ACROSS THE WORLD, environmental activists defending their land, wildlife, and natural resources against large dams, industrial agriculture, and other extractive industries are increasingly faced with the specter of death on a daily basis. In 2017, nearly four environmental defenders were murdered around the globe every week — a fourfold increase in such killings since the environmental watchdog Global Witness began monitoring them in 2002, and a grim reminder of the extreme costs of a global economy driven by expansion and consumption. But these deaths were not distributed evenly. Latin America was by far the most dangerous region in the world for environmental advocates — as it has been since Global Witness began recording these murders — and among countries in this region Colombia has consistently been one of the most dangerous. Since 2015, at least 87 defenders have died in Colombia, including 24 deaths in 2017. These numbers, however, are likely conservative, as they represent only those deaths that have been reported and confirmed by Global Witness. The actual number of land defenders killed in Colombia is almost certainly much higher, not to mention the many human rights defenders who are also killed every year. According to the national Ombudsman’s office, which is charged with protecting civil and human rights, 311 social leaders have been killed in Colombia since the end of 2016. Recent murders have been attributed in part to an increase in land conflicts following the 2016 peace accord between the Revolutionary Armed Forces of Colombia (FARC) and the Colombian government. The accord put an end to the country’s devastating half-century-long armed conflict, but it also left a power vacuum in former FARC territories, a vacuum that other rebel groups have attempted to fill. Other deaths have been linked to opposition to major extraction and infrastructure projects, including mines and hydroelectric dams. 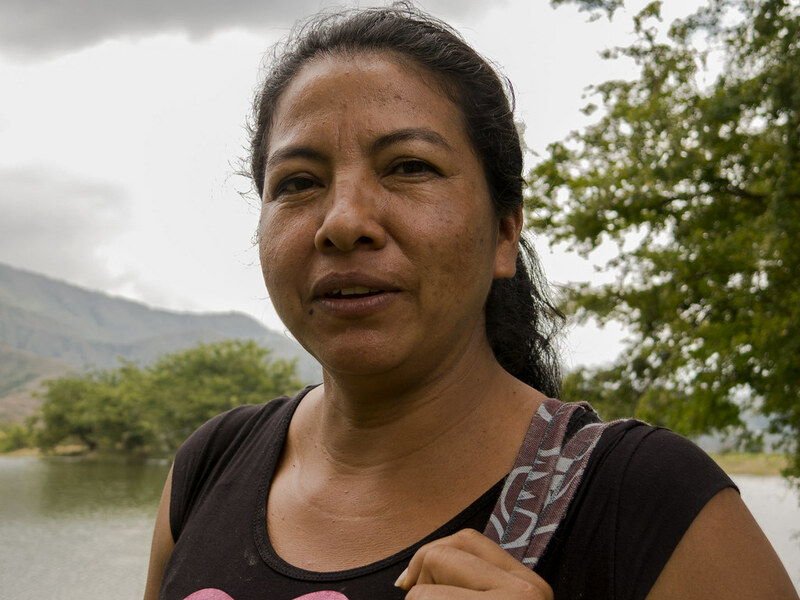 Despite the immense danger, brave Colombian activists, many of them women, continue to push for land rights and environmental justice across the country. Here are the stories of four women defenders. Epiayu leads Fuerza Mujeres Wayuu, an organization of Indigenous women mobilizing for human rights and against a massive coal mine in La Guajira. The written message arrived at Jakeline Romero Epiayu’s home in the Colombian town of Barrancas in late 2016. At the time, Epiayu was attending a conference about the constitutional right of Indigenous communities to be consulted about mining projects in their territory. This was not the first time Epiayu had been threatened, but never before had she received such a direct threat to the lives of her loved ones. 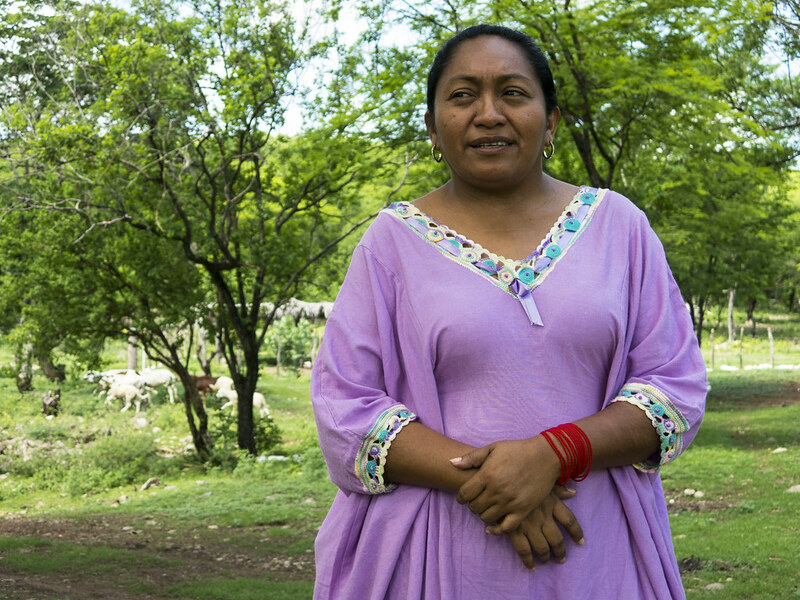 Epiayu, 41, is one of the leaders of Fuerza Mujeres Wayuu, an organization of Indigenous Wayuu women in the Colombian region of La Guajira. The group defends the rights of the Wayuu, Colombia’s largest Indigenous group, informing Indigenous communities about their constitutional rights and helping them denounce abuses and human rights violations. La Guajira is rich in natural resources, but it also sits in a drug corridor to Venezuela. As a result, the local population has been terrorized since the 1990s by paramilitaries challenging control of the territory. Additionally, many communities have been violently displaced by the mining company Cerrejón, which operates one of the largest open-cast coal mines in the world here. Locals say they suffer from respiratory and skin problems due to pollution from the mine, which contaminates the air, water, and soil. For several years now, Fuerza Mujeres has been mobilizing and uniting several communities in the region against Cerrejón, and Epiayu has been a driving force behind the fight. The communities’ biggest achievement so far has been to stop the company from diverting a 26-kilometer section of the region’s most important river — the Rancheria — to facilitate coal extraction. But activism comes with a high price in La Guajira. Since the end of 2016, Epiayu has been travelling everywhere with two bodyguards. Rivera has been negotiating better terms for her rural community in Cauca under the peace agreement between FARC and the Colombian government, while also helping local farmers transition from growing coca to legal crops. Rivera has been growing coca all her life, as have most of the 2,000 families living in her community. For these families, coca cultivation, which is illegal in Colombia, has historically been the only way to survive in this remote and mountainous area, where the government was largely absent during the five-decade war. But the crop, which is used to make cocaine, also put them in the crossfire between the Colombian army and FARC guerrillas who controlled the country’s coca trade until 2016. Since the FARC officially demobilized in 2017 as part of the peace agreement with the Colombian government, nearly all the families in Monterredondo have joined a crop substitution program to help them transition to growing legal crops. This program, which was established by the peace accord, provides technical support and financial incentives for coca farmers who voluntarily eradicate their coca plants. Colombian farmers established the National Coordinator of Coca, Marijuana, and Poppy Growers of Colombia — or COCCAM, as it’s commonly referred to — in 2015 to represent their interests in implementation of the peace agreement, educate rural communities about the accord, and negotiate better terms for the transition to legal crops. Rivera and her husband are both active in COCCAM, and Rivera also represents local victims of the regional conflict in the current peace process. But this work has been difficult. The government’s effort to implement the accord has been complicated by a surge of new armed groups in the area, which aim to take over the drug trade from the FARC. Community leaders who speak up about the situation are being persecuted by these armed groups. According to COCCAM, 36 of the organization’s coordinators have been murdered since the group was established three years ago. Hundreds more have received death threats. Rivera and her husband have themselves received threatening phone calls, and at one point, were being followed by a man on a motorcycle. Ask environmental activist Isabel Zuleta, 36, about her biggest achievement in eight years of activism against the construction of the HidroItuango hydroelectric power plant, and her answer is simple. Zuleta is fighting construction of a huge hydroelectric plant that has resulted in the forceful eviction of hundreds of families in the Colombian province of Antioquia. The dam, located in the province of Antioquia, is slated to become operational by the end of this year. When completed, it will be the biggest dam in Colombia and meet roughly 20 percent of the country’s electricity needs. But the project has been mired in controversy for years. EPM, the state-run company building the dam with the regional government, failed to consult the local population about the project prior to beginning construction, a requirement under both Colombian law and international regulations. More than 700 families have been forcefully evicted since construction began on the project, and tens of thousands were temporarily displaced earlier this year following heavy floods that threatened to breach the unfinished dam. The dam’s 79-kilometer-long reservoir has flooded 17,000 hectares of dry tropical forest, one of the most threatened types of habitat in the world. It has also drowned the truth about hundreds of Colombian war victims who were murdered and disappeared by rebel groups and paramilitaries during Colombia’s decades of violent conflict, and who now lie buried in the valley. “How can this country allow the flooding of our collective memory?” Zuleta asks. United in their resistance by Ríos Vivos, an advocacy group led by Zuleta that opposes the project, about 1,200 families have been fighting against the dam since construction began 2010. Apart from mass mobilizations, they have also filed a lawsuit to declare the environmental permit for the project invalid. But their struggle is a dangerous one. In 2013, two members of Ríos Vivos were shot, and so far this year, three activists connected to the movement have been killed. In 2015, Zuleta escaped a kidnapping-attempt, and she continues to face frequent threats and attempts at intimidation. Because of this, she has been forced to accept a bodyguard provided by the state. Nini Johana Cárdenas Rueda, 33, fears for her life. Since early 2017, she has been fighting to realize a referendum about the planned expansion of oil and coal extraction activities in her municipality in northeastern Colombia. Such a vote is a constitutionally protected right. But ever since Rueda began organizing for the vote, she has faced serious and frequent threats. And after a murder attempt in February 2017, she had to go into hiding for five months. 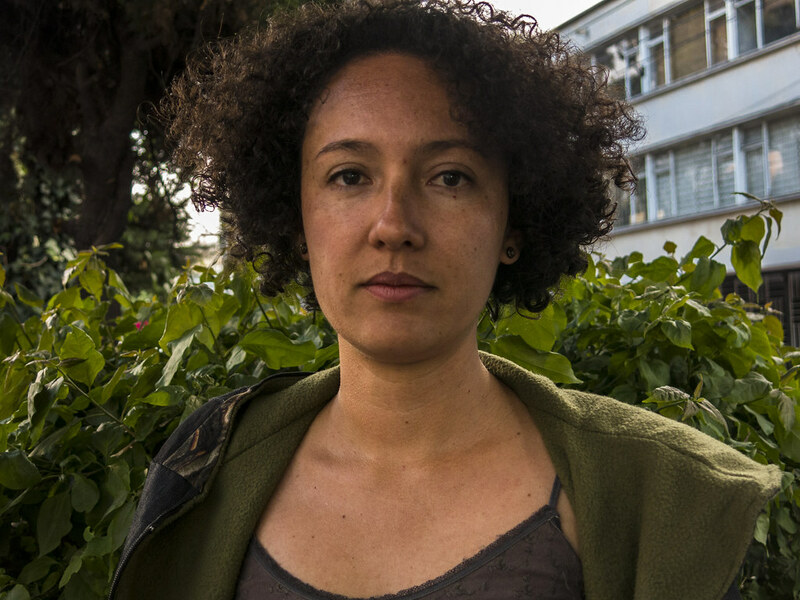 Rueda has faced threats to her life for her work organizing for a referendum on on oil and coal extraction activities in El Carmen de Chucurí. 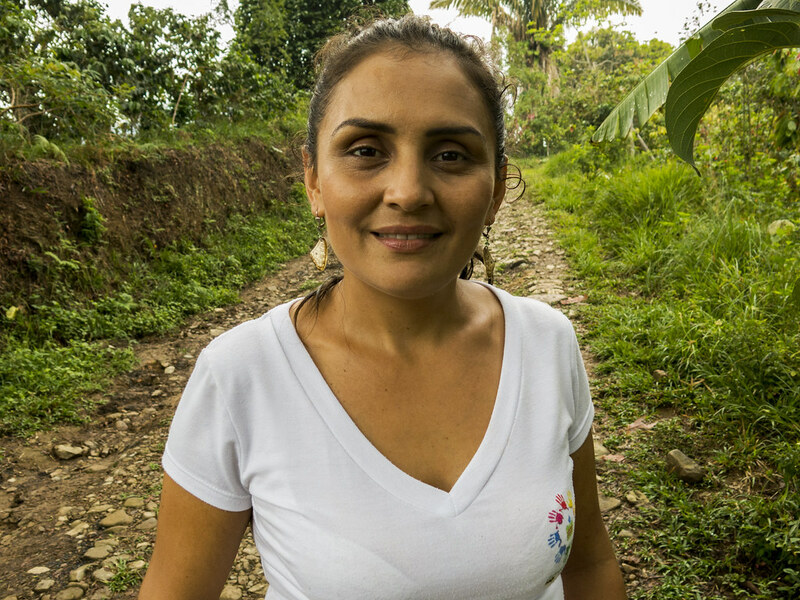 “The soil of El Carmen is extremely rich,” Rueda says, meeting with me on her farm where we are surrounded by banana, cocoa, and avocado trees. “Everything grows.” But large swaths of that fertile territory in El Carmen de Chucurí have been conceded to mining and oil companies. Currently 1,200 hectares are being exploited, but companies are pushing to start mining another 24,000 hectares in Carmen de Chucurí and two other municipalities. Rueda fears their operations will destroy the rich environment of El Carmen, and the livelihoods of its inhabitants. It is this destruction that she and the other seven members of the local Committee for the Organization of the Popular Vote are trying to stop. At the very least, they want to leave the decision about increasing oil and coal extraction to those most affected by the plans, which is why they are not only pushing for the vote, but also organizing informative meetings in all 50 hamlets of the municipality. But the Colombian authorities, worried that a wave of similar votes in other municipalities will scare off mining companies, have been doing everything they can to sabotage the popular vote. The Ministry of Mining went to court to declare the referendum illegal, while the national election office stated it had no budget to print the voting cards. Ynske Boersma is a freelance journalist from the Netherlands based in Bogota, Colombia. First published in Earth Island. Included in Vox Populi for noncommercial educational uses only. This entry was posted on October 11, 2018 by Vox Populi in Environmentalism, Health and Nutrition, Opinion Leaders, Social Justice and tagged Awakening in the Age of Climate Change, Colombian women are putting their lives on the line for the Earth., Columbia, environmental activism, Hundreds of Poor People's Campaign Activists Got Themselves Arrested for Racial Justice, Latin-American women, Native American rights, Rain forests, The Defenders, What Standing Rock Gave the World, Ynske Boersma.